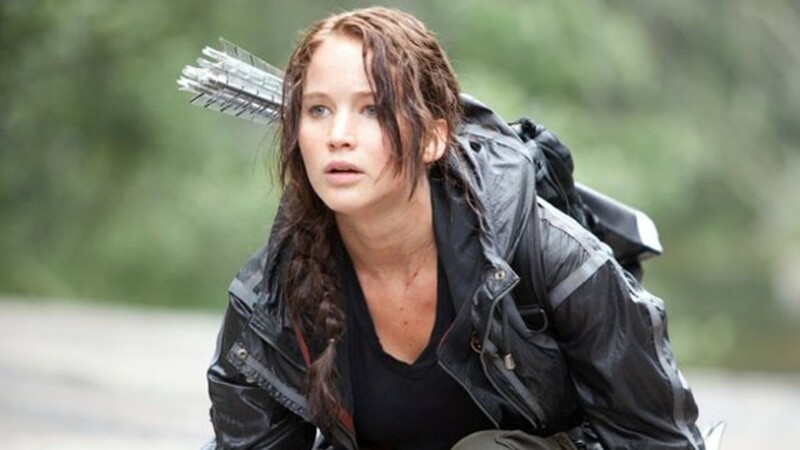 The popular and successful superhero adventure film 'The Avengers' has highlighted a number of well-known superheroes from the Marvel universe - including the Hulk - while introducing a number of characters that aren't known as well outside of rabid. Marvin the Martian is a nasty little character from the Looney Tunes and Merrie Melodies cartoons, who with a drop of water can grow to human size. He may be diminutive and quiet, but he definitely attempts to carry a big stick. His quiet demeanor, which is accompanied by some of his funny quotes like "Where's the kaboom?," "This makes me very angry, very angry indeed," and "Isn't that lovely?," overcomes his contentious nature to many, endearing him in an odd way with viewers. All of this, along with his great look, makes his character a great one to emulate in a costume for Halloween and other party events. Marvin's costume or uniform was actually based upon the mythical Roman god Mars. That's evidenced by the helmet and skirt worn by the character, which also resembles the uniforms worn by Roman soldiers long ago. The idea was to place a character that had the look of an ant into that type of uniform for comedy effect. It has worked well. Another element to his look is the lack of a mouth, which resulted in Marvin being very expressive through the way he moved, which communicated his desires and intentions. But in the end, Marvin is just a great character to use as the basis for a costume, and maybe more than any other cartoon character, has been homemade or handmade by those desiring the look of the little Martian. 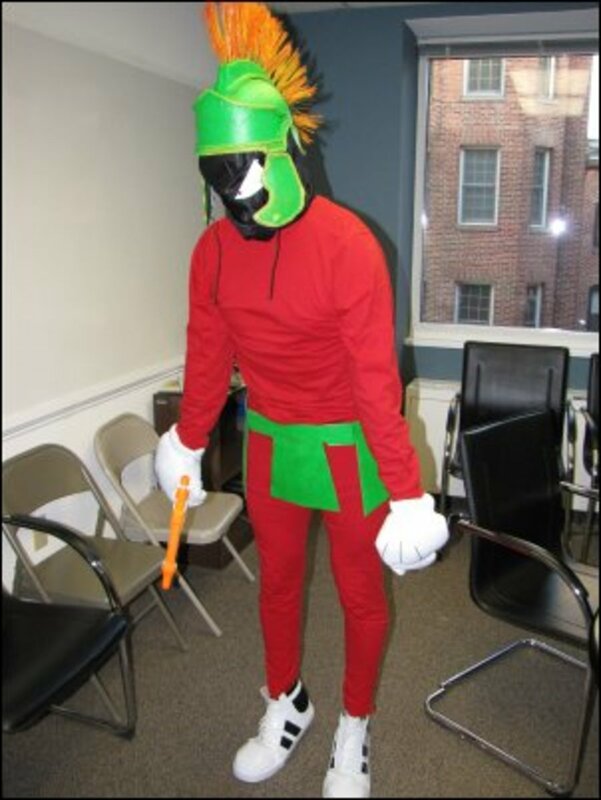 This first Marvin the Martian costume is one of the best, as it's close to being an exact replica of the little characters' uniform and look. Of course this means there can be a Marvina Martian as well, as the costume looks great on this woman. It wasn't mentioned earlier, but those trademark, old time tennis shoes of the Martian are also a fun addition to the costume. 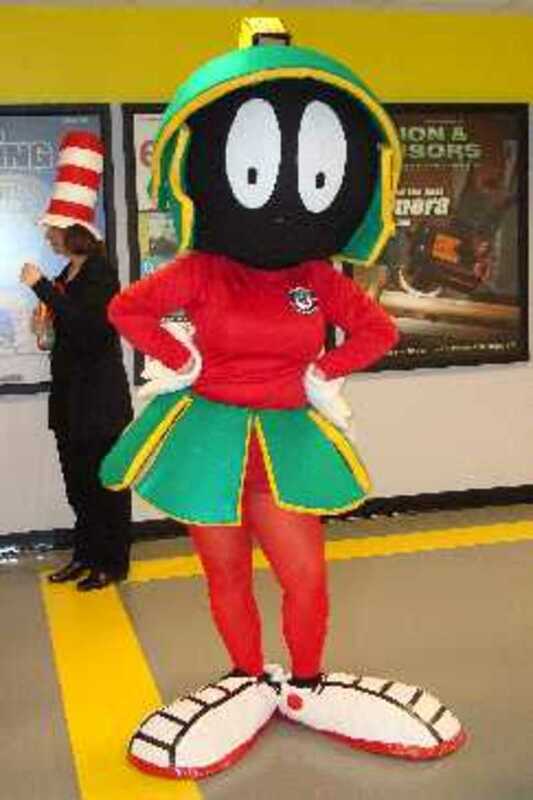 Be aware that this is the only Marvin the Martian costume in the gallery that is not homemade. 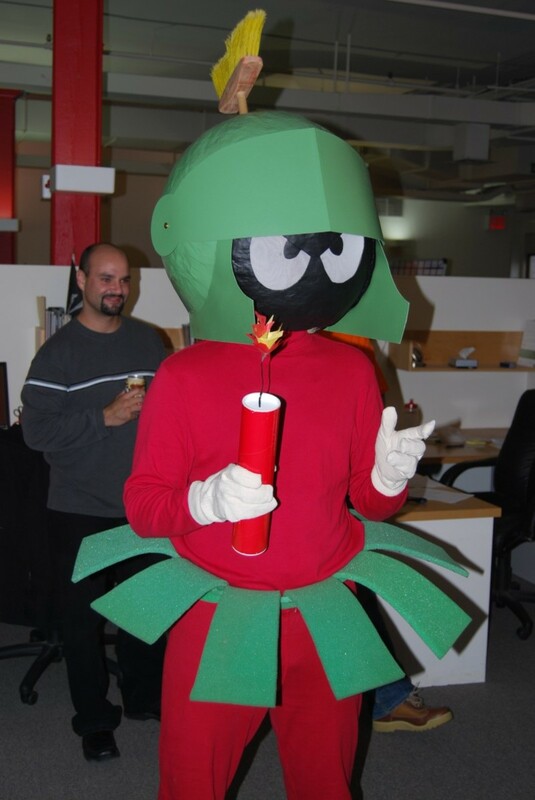 The cool look and fairly easy costume pattern to make of Marvin the Martian make his character a favorite for those wanting to make Halloween costumes at home. Here is a good example of a nice looking Marvin, with a pretty simple design. As you can see, it's a matter of gathering together the materials with the right colors, and then designing the helmet, skirt and gloves. The helmet is obviously the hardest part of the costume, but isn't overly difficult for those with a little bit of skill at crafts. The face would be a little more difficult than the uniform, but also pretty easy to make. Just be sure to use black and get the eyes right. What's really enjoyable about a cartoon character which draws the attention of those with the skill to make a handmade costume, is how different they will look while retaining the characteristics of the character while still being able to identify them. That's the case below, and with the others following it, as there are a wide variety of Marvin the Martian looks that are still very easy to recognize for who it is that is being portrayed. For example, the skirt and helmet are a lot different than the previous Marvin costume, but the very identifiable eyes, and face make it almost impossible to not recognize Marvin, as long as you stick to his unique look. 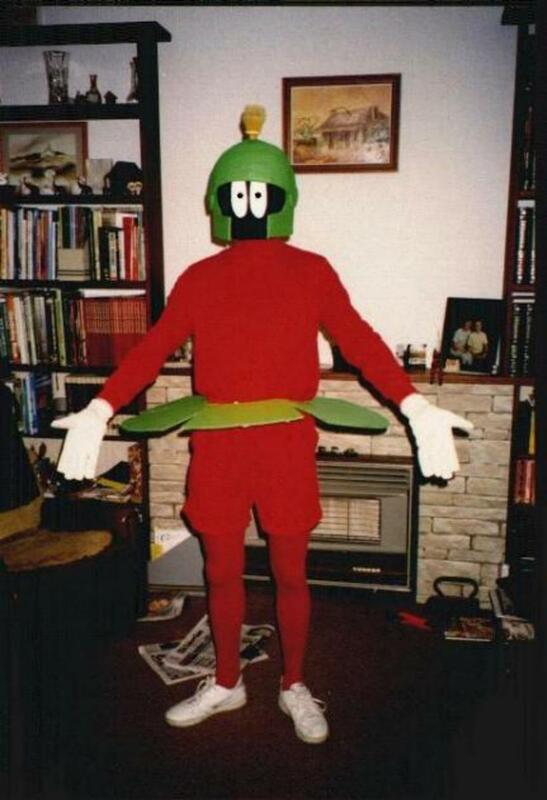 This is among the more simple of the homemade Marvin the Martian costumes, but one that is hilarious. All the person did was use foam for the skirt, and placed a broom on the top of the head for the Roman helmet look. How creative and easy is that? I like how this person differentiated by including the piece of dynamite as a prop. If you don't know who Marvin is and what he does, dynamite is a big part of his arsenal when he's always attempting to blow things up. Marvin the Martian Meets "Earth Girls are Easy"
The moment I cast my eyes upon this scene of Marvin the Martian with a girl in each arm, the idea of Marvin the Martian meets "Earth Girls are Easy" came to mind. It gave me a good chuckle. As for this Marvin, he isn't exactly top of the line in homemade costumes, but again, as long as you keep the basics of Marvin in mind, there isn't anyone that won't know who it is you're portraying. Yet, with costumes like this one, sometimes the more amateur looking it is, the funnier it can be. Less is more can work when putting together a costume for cosplay or Halloween. 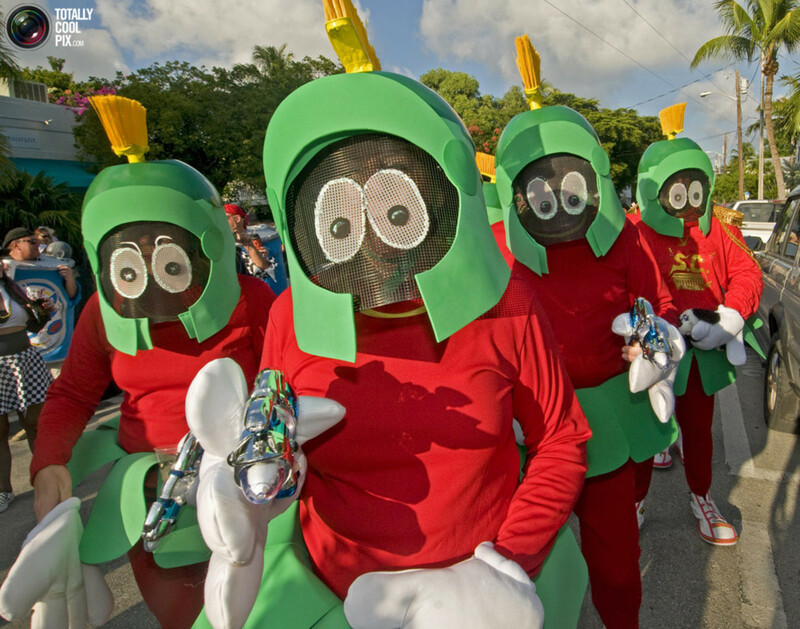 Here is one thing I wouldn't have thought of - dressing up in exact costumes as Marvin the Martian together. That would be a lot of fun if going out as a group. When working together like this, as you can see, all you have to do is build a simple prototype and copy it over and over again. Even those holding the ray gun have the same piece. And did you notice the one holding a dog? That actually represents something, as Marvin had a dog that tagged along with him many times. This wasn't just someone holding a dog in place of a gun because they didn't have one. Marvin the Marian is an awesome character to base a Halloween costume on. He has a unique and fun look, which would cause delight for anyone seeing someone dressed as the Martian. His bright red colors, big eyes, green skirt (if that's what you would call it), helmet and funny shoes, combine to make an unforgettable costume. 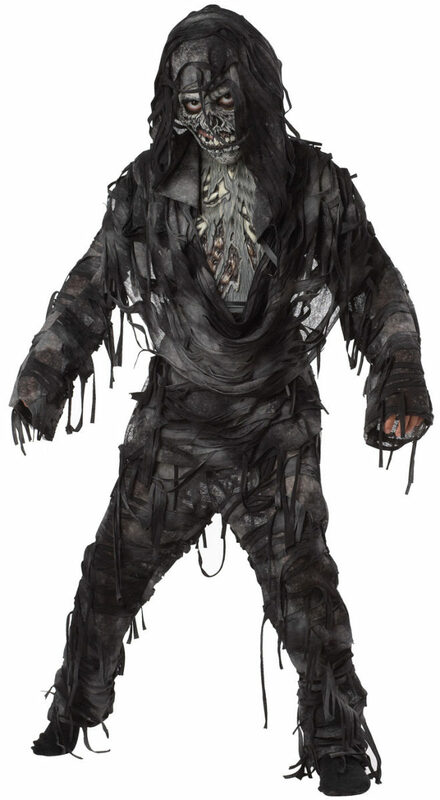 Add to that the relatively ease of making the costume, and you have a great option to go with when considering the next Halloween or costume party.